You see lot of startups everyday. But there are few, which are developed to deal with Humanitarian challenges. 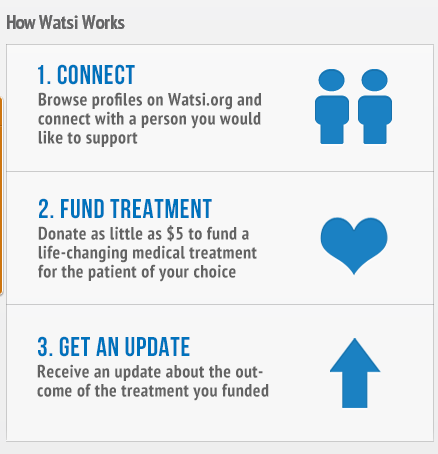 Founded by Chase Adam, Mark Murrin, Howard Glenn, and Jesse Cooke, Watsi enables you to directly fund low-cost, high-impact medical treatments for people in need. This story comes more of a personal interest than reviewing it. Watsi in collaboration with other healthcare partners and experts tries to connect donors with the patients in serious need of low-cost medical care and enables you to fund high-impact treatments. It equally emphasizes on technology involved in this project. The website looks very decent as it should be. It presents the profiles of those in need and also mentions the total donation amount required, total donors till now and the progress of individual case. 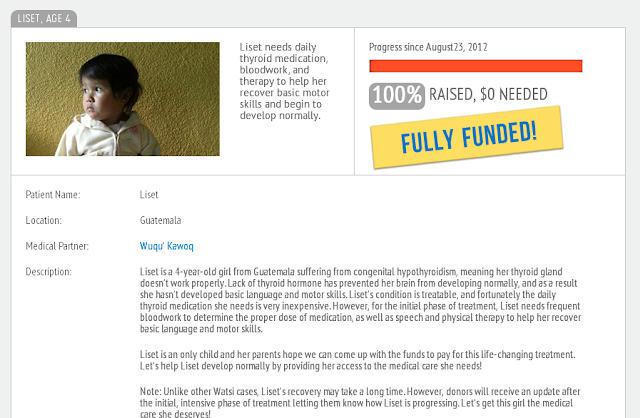 Presently, 19 cases have been presented on Watsi out of which 17 have been crowd funded totally. 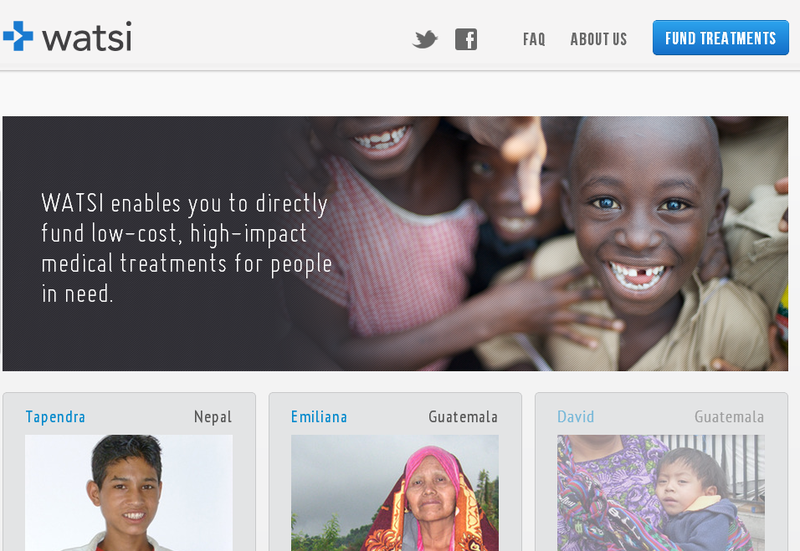 Mostly the individuals in need are from developing countries. A minimum of 5$ amount can be donated. To make this process more transparent, Watsi also lists the medical partner of the cases. Recently the founders have also shared a doc which contains all the transactional details of these cases to make the process more transparent. Watsi has been approved as a 501(c)(3) non profit organization in California, which means that donations will be tax-deductible. Watsi is definitely on the right tracks of tackling the global humanitarian challenge of healthcare. Its surely a good start. It works on the values of Impact, Innovation, Efficiency and Transparency. And we would like it to see it grow and extend. I request the readers to extend a helping hand to this noble cause.